Le Creuset is synonymous with “serious cooking.” If you’re working with heavy, expensive, gorgeous cast iron like this then chances are that you’re a seasoned home cook. 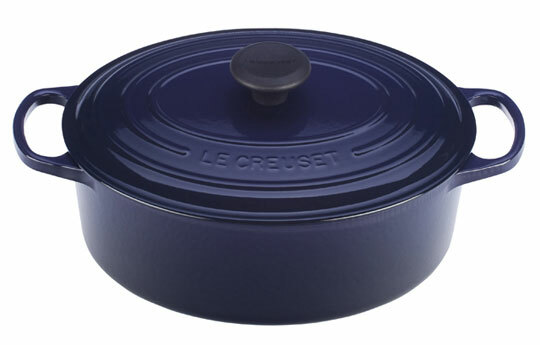 Le Creuset’s iconic cookware is skillfully crafted cast iron coated in a vibrant porcelain enamel glaze. The French company releases coveted new colors only every once in a while; this season it’s the bold, striking Aubergine color — perfect for Fall! Of course, the cookware is available in other classic colors like Cherry, Cobalt. Ocean and Linen. 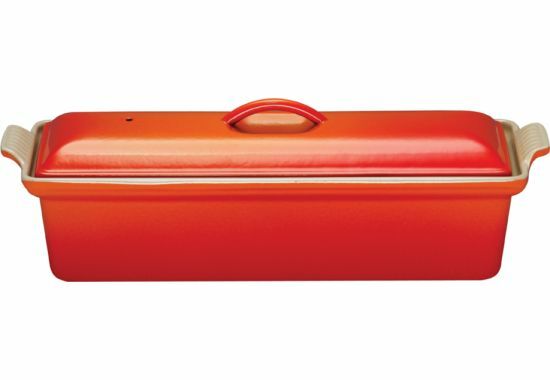 …and finally, some fun Le Creuset trivia for you: their best selling color is the red-orange “Flame,” which was their first color ever produced in 1925. What a way to perpetuate tradition! ← A Monday Full of Rainbows! these are some classy kitchenwares!